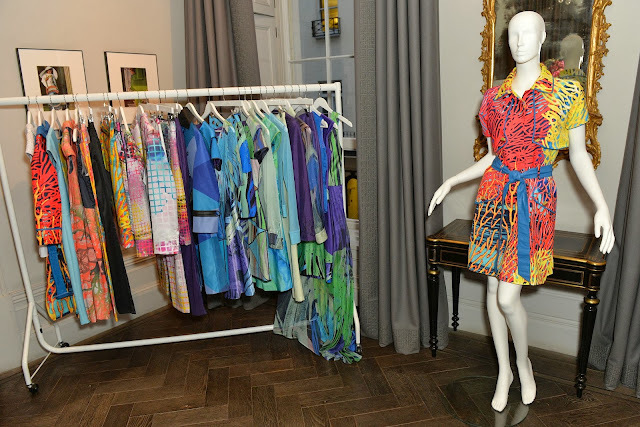 Vanessa G, the womenswear label that is fronted by South African entrepreneur Vanessa Gounden, presented Spring-Summer 2014 collection at the Arts Club, Dover Street in London. Unique pieces of fashion, transformed into timeless classics which have been handcrafted for individuals who are equally passionate about the Arts and Fashion. Vanessa G is aiming at the contemporary woman of today that has an appreciation of the arts and wants her clothes to reflect her sensibility . At the launch were guests like Olivia Inge and Noelle Reno. 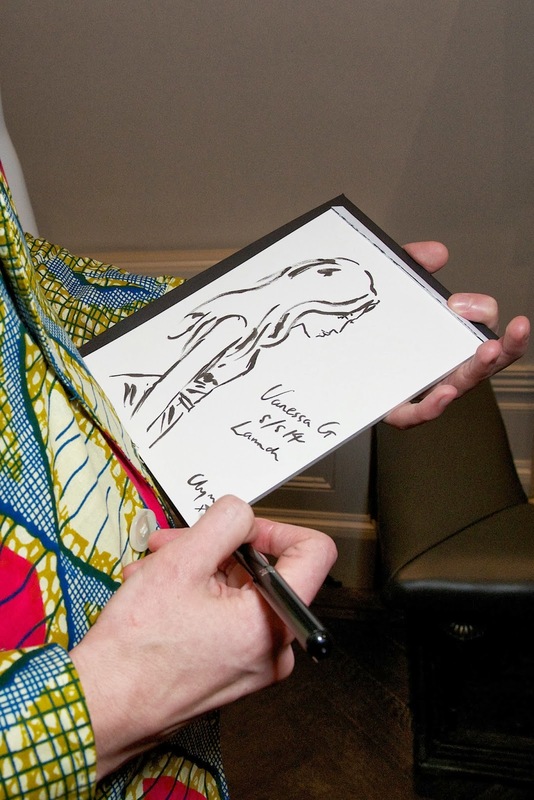 The guests received a goody bag including a bespoke printed scarf from the designer and also walked away with a unique personal illustration from award winning artist, Clym Evernden. 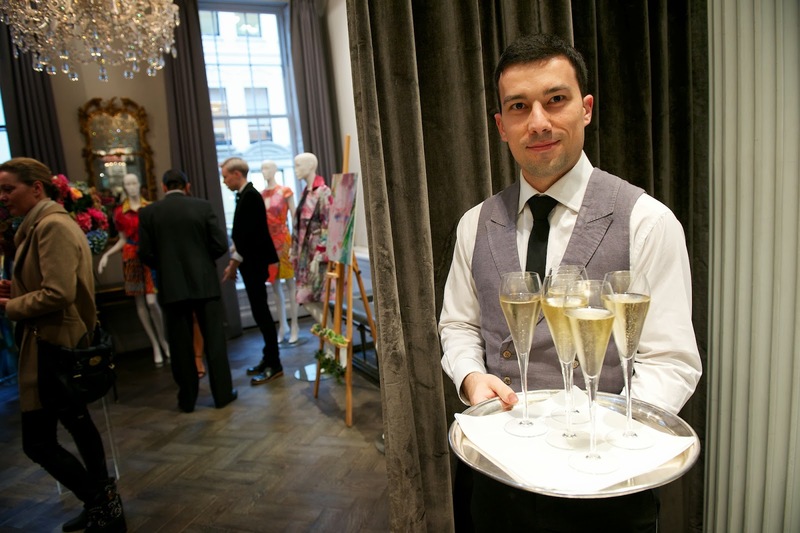 Historically and by its definition, “Fashion” and “Art” are separate disciplines in the creative space. 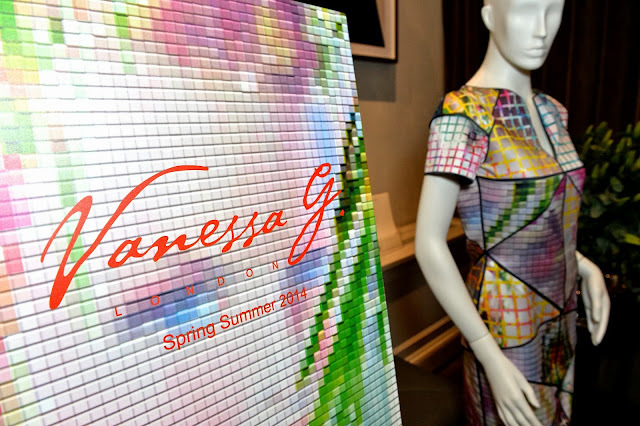 Taking into account the subtle similarities in the discipline of Art and Fashion, and boldly merging the creative traits of Art and Fashion to create a unique fashion experience, is Vanessa G’s point of inspiration. 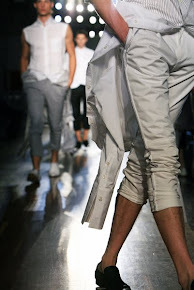 That is the school of thought that best describes the Vanessa G Brand philosophy wherein Fashion and Art are treated as one discipline, expressed through different mediums and thus taking different forms. 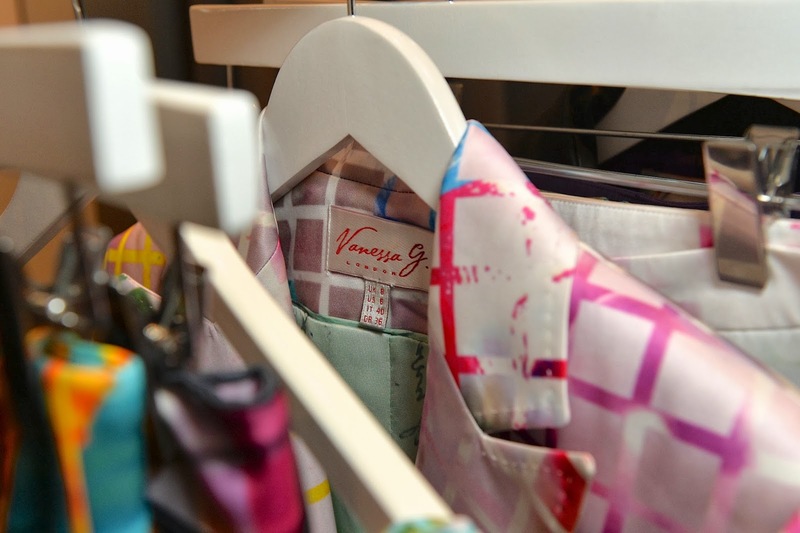 Every garment of “Vanessa G” endeavours to look like a piece of art, an ultimate statement of luxury that is not only unique in looks but also creates a unique, wearable, character defining fashion statement. Exquisite, unique clothing pieces from Vanessa G, in addition to bespoke accessories, will be positioned for the upwardly mobile, affluent and well-heeled women of today that may have satiated their appetite for traditional luxury brands, and longing for a new bespoke experience with this unique offering of style, quality and intense design. This Customer knows that there needs to be something more to set them apart, and at the same time retaining a sense of bespoke individuality, hence their connect with Vanessa G‘s “Art’Outure” - A Luxurious expression of Art and Fashion. This luxury brand clearly has that something more, and will satiate yearning and simultaneously proliferate it; one piece will never be enough. The Label is positioned as a high end (designer price points) luxury line where Vanessa is the Label’s Creative Director.